Take your friends to see the fall foliage on the Parkway and while there see the BILTMORE MANSION. At each Parkway entrance a directional sign indicates 'north' or 'south'. North, toward the north end of the Parkway, leads to Shenandoah National Park. 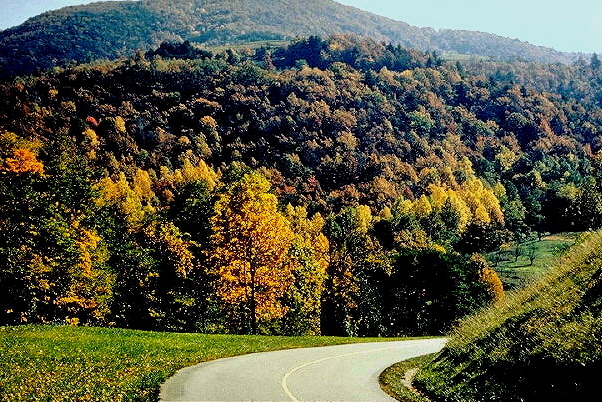 South, toward the south end of the Parkway, leads to the Great Smoky Mountains National Park. The Parkway incorporates several recreation areas, some exceeding 6,000 acres. These parks within the Parkway have visitor centers, camp grounds, picnic areas, trails and, in many instances, concessionaire-operated lodges, restaurants, and other facilities. 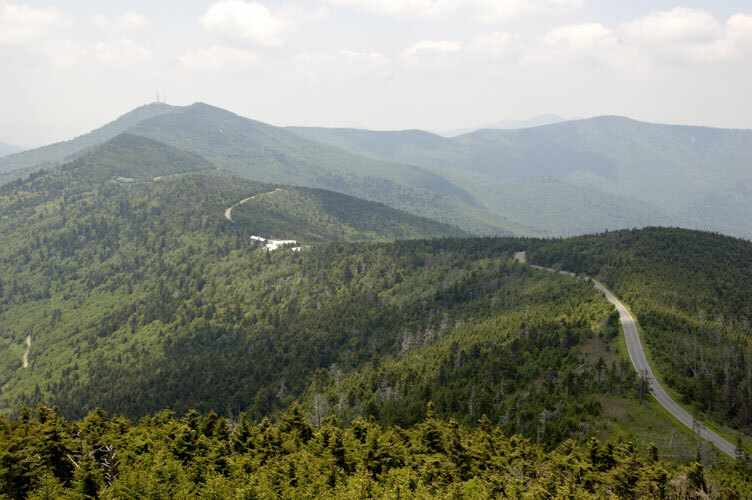 Building the Parkway through mountainous terrain was a monumental labor. Authorized in the 1930s as a Depression-era public works project, the Parkway was more than a half-century in the making. 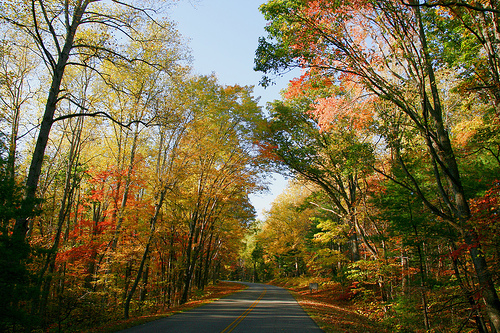 It was the nation's first, and ultimately longest, rural parkway, connecting Shenandoah National Park in Virginia with the Great Smoky Mountains National Park in North Carolina. Enduring standards for parkway engineering and design were pioneered here.